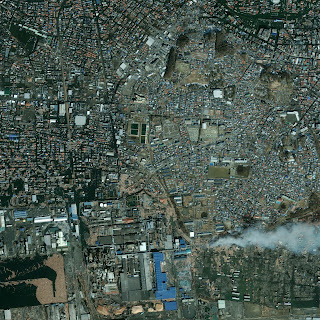 This half-meter resolution satellite image shows a derailed train near the town of Shinchi, Japan. The image was taken two days after a 9.0-magnitude earthquake struck the Oshika Peninsula on March 11, 2011. According to news reports, this is the largest earthquake to hit Japan in recorded history and the fifth largest in the world. The image was taken by the GeoEye-1 satellite at 10:21 a.m. (local time) on March 13, 2011 from 423 miles in space as it moved from north to south over Japan at a speed of four miles per second. 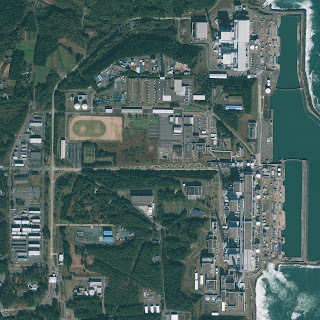 This half-meter resolution satellite image of the Fukushima Daiichi Nuclear Power Plant was taken three days after a 9.0-magnitude earthquake struck the Oshika Peninsula on March 11, 2011. According to news reports, this is the largest earthquake to hit Japan in recorded history and the fifth largest in the world. The image was taken by the GeoEye-1 satellite at 10:56 a.m. (local time) on March 14, 2011 from 423 miles in space as it moved from north to south over Japan at a speed of four miles per second. This half-meter resolution satellite image of the Fukushima Daiichi Nuclear Power Plant was taken before a 9.0-magnitude earthquake struck the Oshika Peninsula on March 11, 2011. The image was taken by the GeoEye-1 satellite on Nov. 15, 2009 from 423 miles in space as it moved from north to south over Japan at a speed of four miles per second. This one-meter resolution satellite image of Ishinomaki, Japan was taken one day after a 9.0-magnitude earthquake struck the Oshika Peninsula on March 11, 2011. According to news reports, this is the largest earthquake to hit Japan in recorded history and the fifth largest in the world. The imagery shows extensive destruction to buildings, vehicles and infrastructure. Entire regions have been flooded, swept away or reduced to ruin. 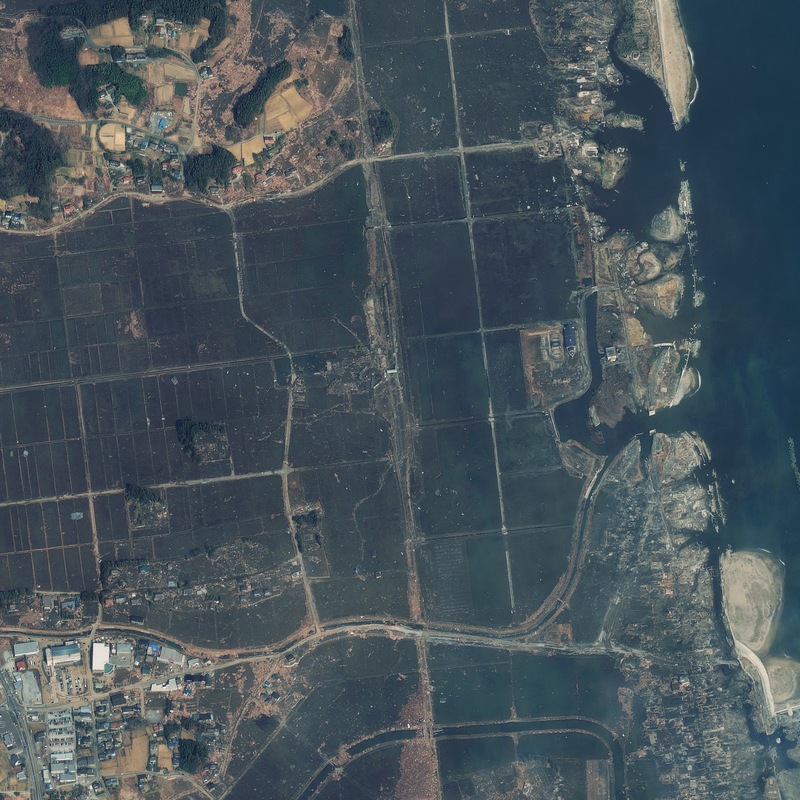 The image was taken by GeoEye’s IKONOS satellite at 10:36 a.m. (local time) on March 12, 2011 from 423 miles in space as it moved from north to south over Japan at a speed of four miles per second. 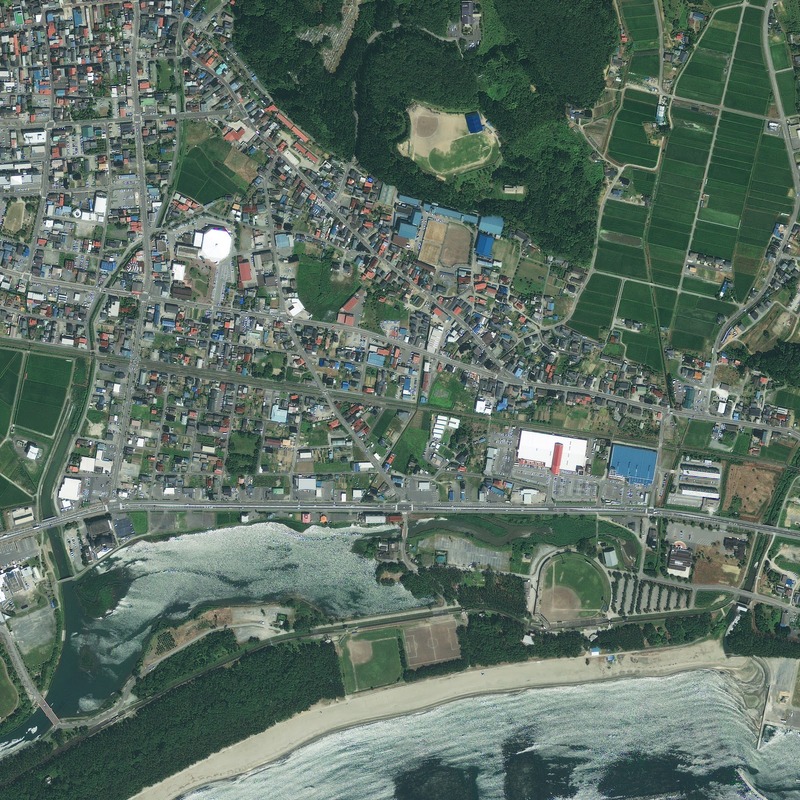 This half-meter resolution satellite image of Ishinomaki, Japan was taken before a 9.0-magnitude earthquake struck the Oshika Peninsula on March 11, 2011. 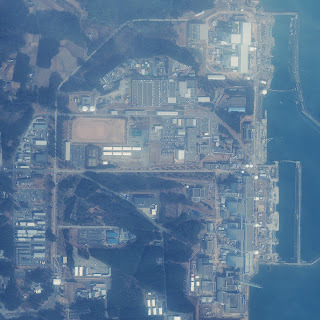 The image was taken by the GeoEye-1 satellite on April 4, 2010 from 423 miles in space as it moved from north to south over Japan at a speed of four miles per second. 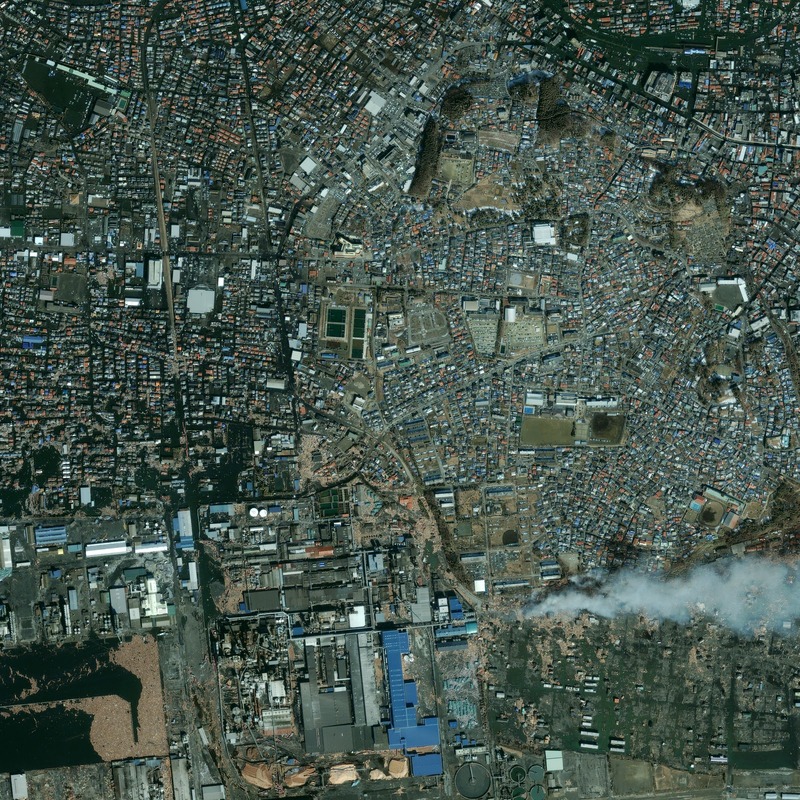 This half-meter resolution satellite image of Rikuzentakata, Japan was taken two days after an 9.0-magnitude earthquake struck the Oshika Peninsula on March 11, 2011. According to news reports, this is the largest earthquake to hit Japan in recorded history and the fifth largest in the world. 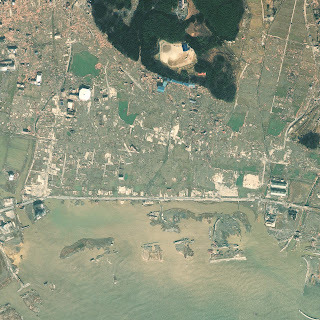 The imagery shows extensive destruction to buildings, vehicles and infrastructure. Entire regions have been flooded, swept away or reduced to ruin. The image was taken by the GeoEye-1 satellite at 10:21 a.m. (local time) on March 13, 2011 from 423 miles in space as it moved from north to south over Japan at a speed of four miles per second. This half-meter resolution satellite image of Rikuzentakata, Japan was taken before a 9.0-magnitude earthquake struck the Oshika Peninsula on March 11, 2011. 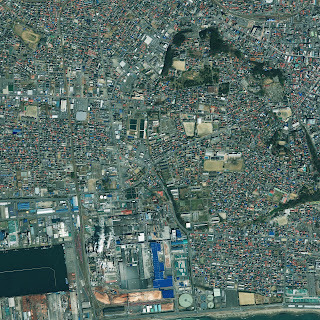 The image was taken by the GeoEye-1 satellite on July 23, 2010 from 423 miles in space as it moved from north to south over Japan at a speed of four miles per second.